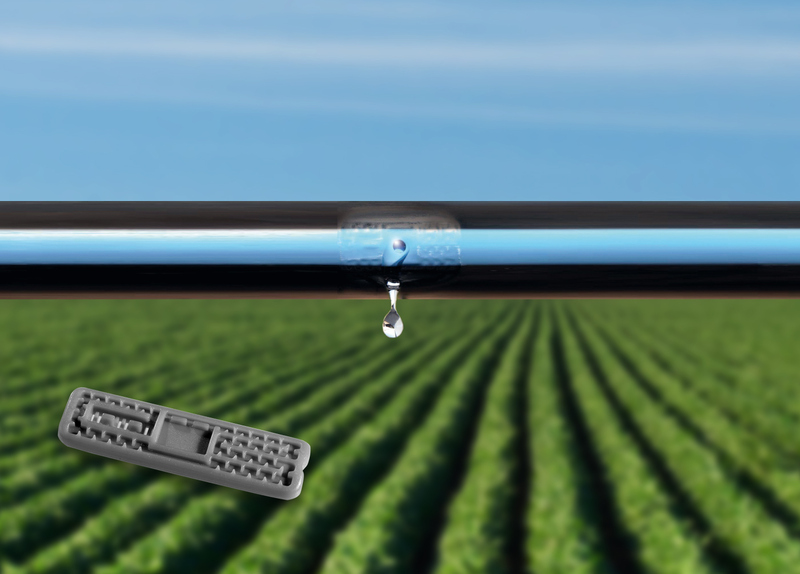 AQUADROP PLUS is a thin black hose with a blue stripe and flat emitters welded inside at pre-ordered constant spacing. AQUADROP PLUS is the ideal solution for open field or greenhouse of a variety of horticultural, floricultural crops (such as watermelon, melons, strawberries, zucchini, peppers, aubergines, potatoes, cucumbers, onions, gerbera, roses, carnations, etc. ), gardens, hedges and terraces. To prevent the risk of clogging, AQUADROP PLUS is equipped with an active protection system, consisting of a large filtering area made up of numerous inlet windows inside the dripper, which blocks suspended particles in water and avoids the formation of encrustations due to turbulent flow. Raw Materials: carefully selected medium density Linear mixed with Polyethylene, to guarantee high quality standard and durability. UV-resistant dripperlines to avoid the attack of micro-organisms and moulds, saline water, acids or alkaline solutions normally used in agriculture.